Extra chips double your collection. 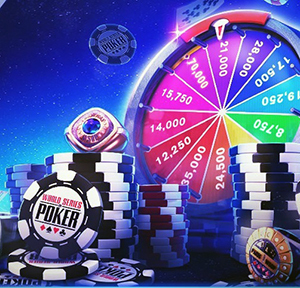 I find it easier if you were to download WSOP on your phone and then open up browser and select WSOP redeem Rewards and when you click on it you were also to login with Facebook, now after you login with Facebook. See then you will be able to reload, change, which Links come from Facebook or mobile. This is where you get your double as you already collected the chips on your app on your phone you can go to your browser and select those chips that you just collected, and even works for your, mega bonus it is I believe Facebooks clock. Its five minutes behind the WSOP app. Yo my Facebook link isn't working tho, is yours?